The Dawn Of A Day Is Coming! With Justice League Pt. 1 coming in 2017. We thought in would be fun to do a Justice League fan cast of our choice. Here is "Notes and Nerds: Justice League Fan Cast". Wikipedia says: "The Justice League, formerly also called the Justice League of America or JLA, is a fictional superhero team that appears in comic books published by DC Comics. 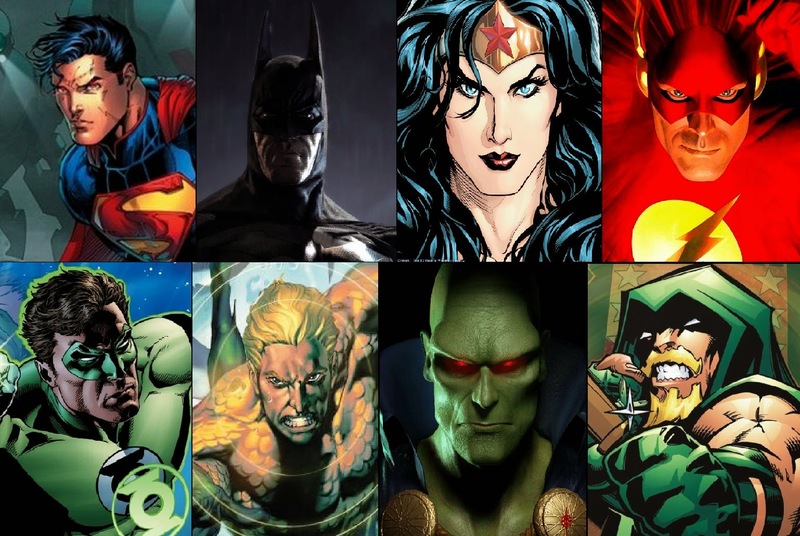 TJustice League originally featured Superman, Batman, Wonder Woman, Flash, Green Lantern, Aquaman, and the Martian Manhunter. Thoughtout the years with characters such as Green Arrow, Captain Atom, Captain Marvel, Black Canary, the Atom, Hawkman, Elongated Man, Red Tornado, Firestorm, Zatanna, Hawkgirl, Cyborg, Vixen, and dozens of others. Sidekicks like Supergirl, Robin, Aquagirl, and Speedy tend to support the main hero or heroine." Superman, Batman, Wonder Woman, The Flash, The Green Lartern, Aquaman, Martian Manhunter, and The Grean Arrow. Patrick Warburton , Thomas Jane , Christina Lindley , Chris Jericho, James Franco, Brad Pitt, Hugo Wallace, and Aaron Eckhart.